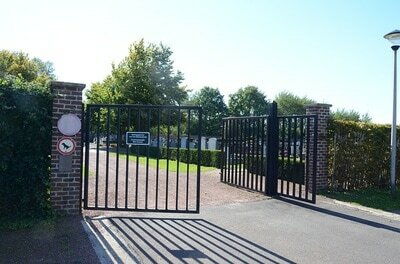 The village of Munsterbilzen is located north-west of the town of Maastricht on the N730. From the motorway E313 which runs between Antwerpen and Liege, turn off at junction 31 Hoeselt-Bilzen and onto the N730 direction Bilzen. In the village turn right onto the N2 and First left onto the N730 direction Munsterbilzen. On entering the village cross the railway and turn first right into Bunderstraat, the cemetery is on the right. 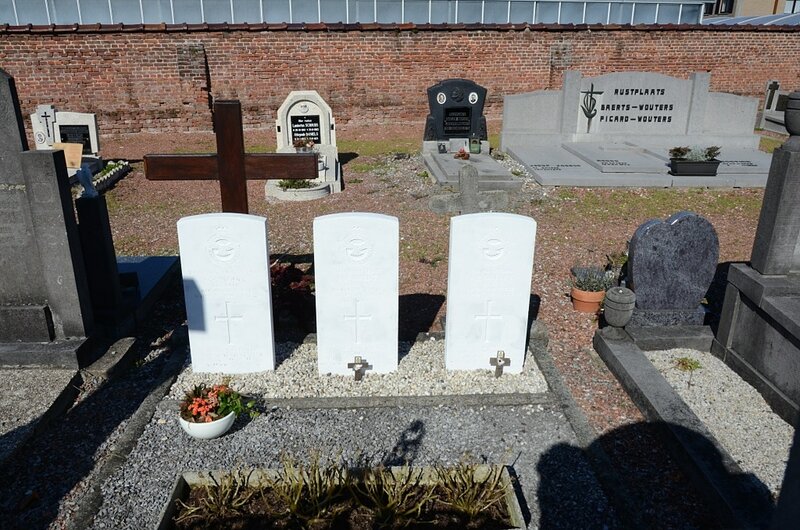 The graves are located by the rear entrance. 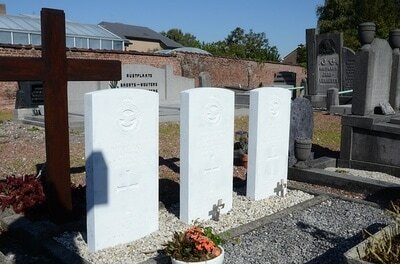 Munsterbilzen Communal Cemetery contains the graves three airmen of the Second World War. 566960 Sergeant Douglas John Avent, Obs. in 15 Squadron, Royal Air Force, died 12th May 1940. 36132 Flying Officer Albert Edward Oakley, Pilot in 15 Squadron, Royal Air Force, died 12th May 1940, aged 25. Son of Albert and Maria Agathe Oakley, of Sydney, New South Wales, Australia. 551566 Leading Aircraftman Denis Victor Woods, Obs. in 15 Squadron, Royal Air Force, died 12th May 1940, aged 19. Son of Harry Victor and Amy Eleanor Woods, of Normandy, Surrey.